Twin Cities Wine Education is proud to present the largest tasting of the wines of Sonoma County in Minnesota! Join us for a memorable night of incredible wines, held in the beautiful ballroom of the University Club of St. Paul on Summit Avenue. 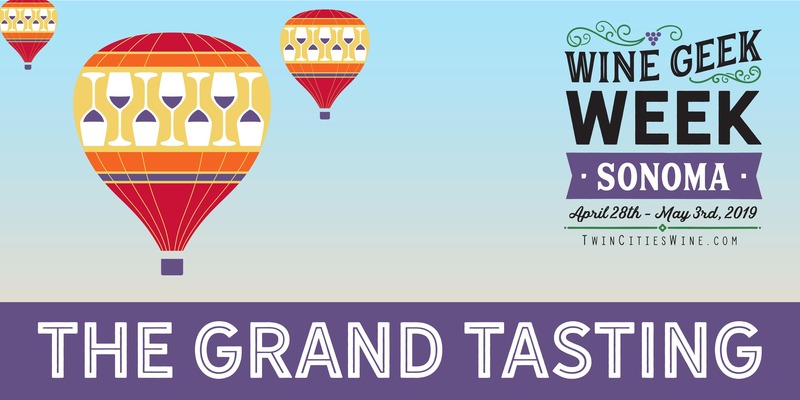 Dozens of fantastic wines will be presented, organized by the winery or by location in Sonoma County. Prepare for over 50 selections to experience from all corners of Sonoma County, arranged carefully for optimal elbow room enjoyment. The Sonoma Coast – some of the best Chardonnays and Pinot Noirs made today! The Petaluma Gap – the newest AVA encompassing the cool weather region of southern Sonoma County. Dry Creek Valley – home of incredible old vine zinfandels. Alexander Valley – where legendary Cabernet Sauvignons are from. Russian River Valley – the go-to place for some of the best Chardonnays and Pinot Noirs of California. Plus Moon Mountain, Sonoma Mountain, Carneros, Sonoma Valley, Rockpile, Chalk Hill, and so much more. You will be amazed at the diversity and range that this show will present! Please note: tickets are non-refundable but are transferrable. Please consider taking an Uber or Lyft to and from the event. Ticket purchasers must be 21 years of age.